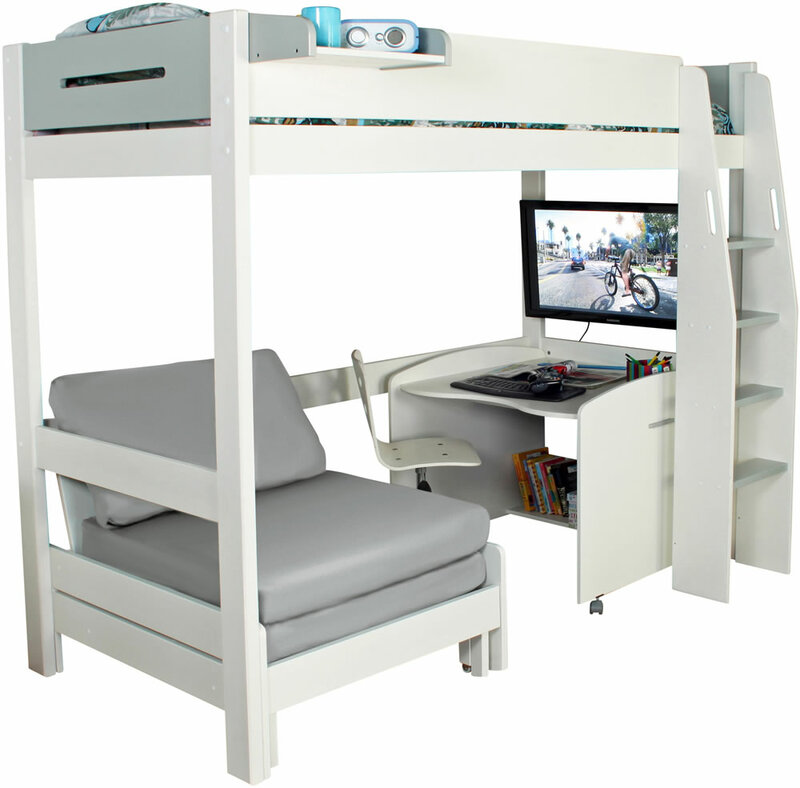 The Kids Avenue Urban 1 grey high sleeper bed in a white finish features a reversible ladder, flat screen TV support bar, pull out chair bed and desk. 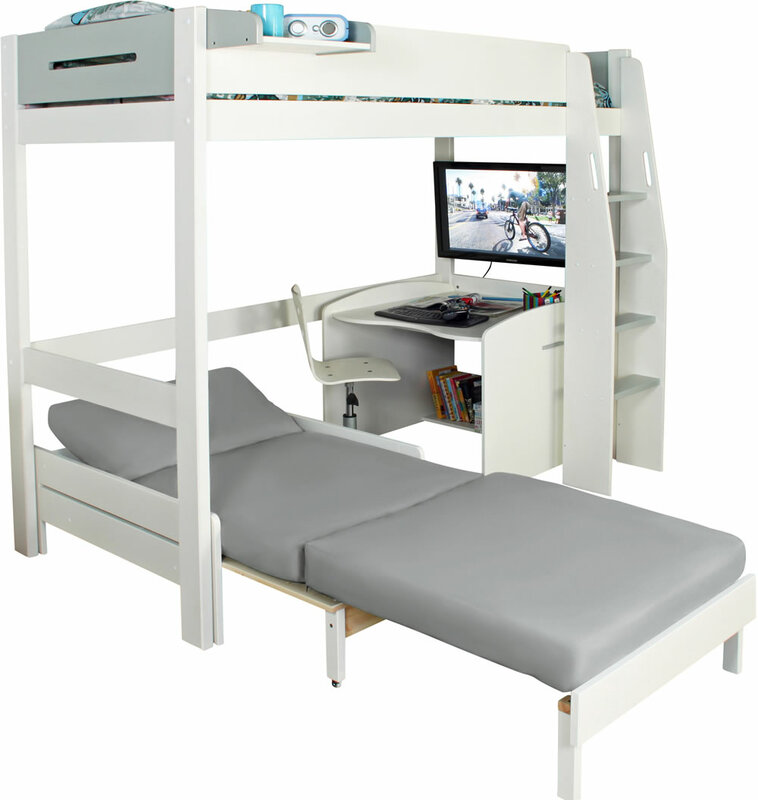 Made from solid pine with a white finish the Urban high sleeper 1 bed is perfect for growing teenagers and supports a 90cm wide by 200cm long mattress for extra comfort. 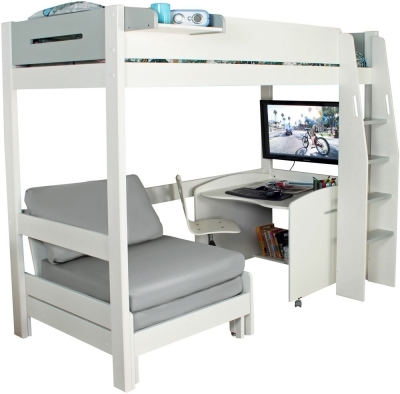 Attach a flat screen TV to the Urban high sleeper via the beds TV support bar which can hold a maximum weight of 12kg, TV to bed wall mount bracket required.